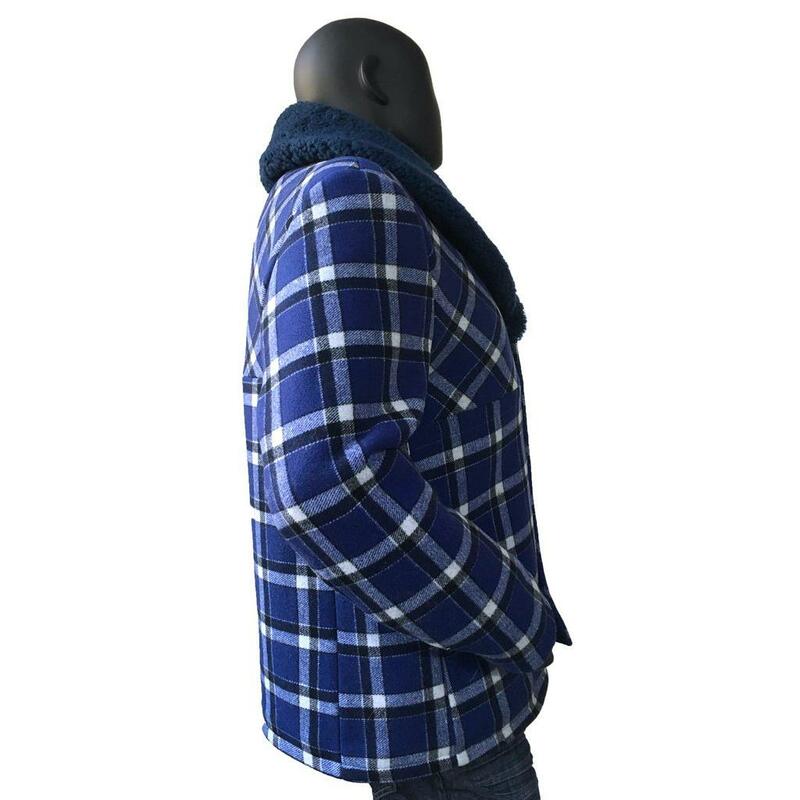 Home/ Shop By Brand/ G-Gator/ G-Gator Blue Genuine Wool Sherpa Car Coat With Mouton Shawl Collar 2400. G-Gator Blue Genuine Wool Sherpa Car Coat With Mouton Shawl Collar 2400. 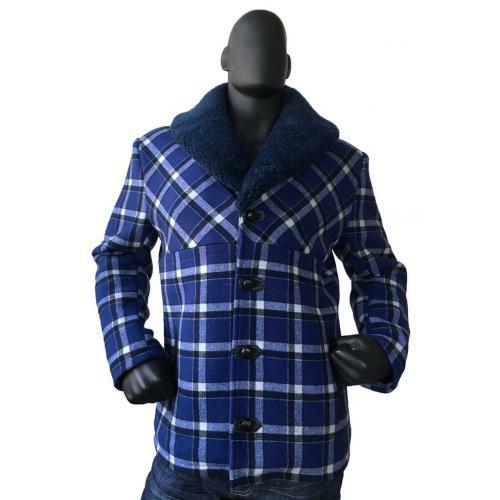 This coat is provided from an custom selection provided by G-Gator as it is a "Made-To-Order" coat. Prior to shipping this coat to you, we will inspect the coat for quality purposes. 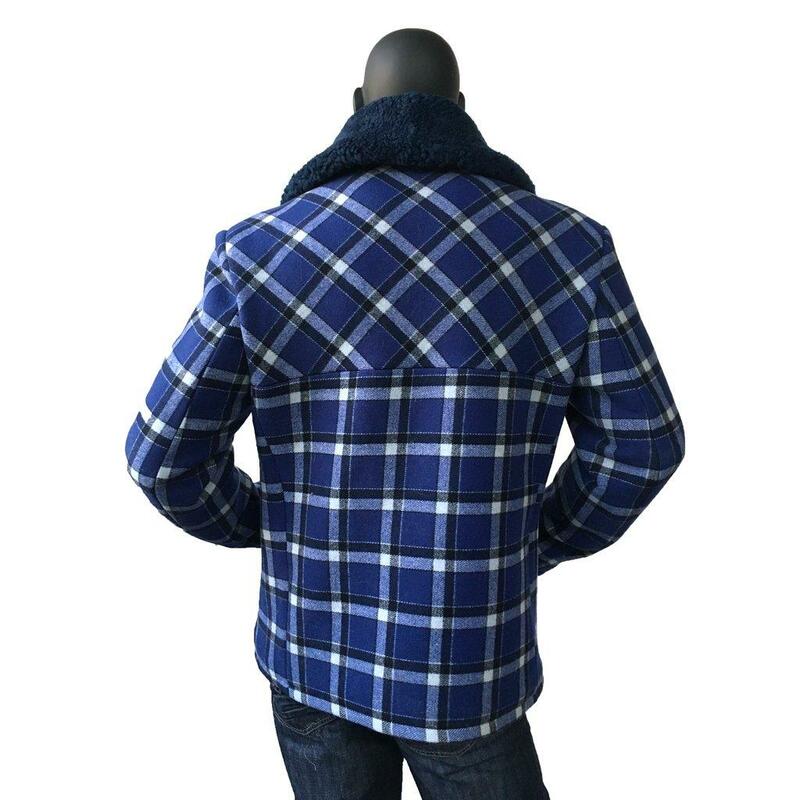 Please, allow an additional 3-4 weeks to receive your coat from the manufacturer as it has to be specially made. As seen on TV and in magazines, Upscale Menswear is proud to present this exclusive, custom made, exceptional quality genuine wool / mouton coat. This coat is handmade by one of the finest exotic skin coat manufacturers, G-Gator. G-Gator offers sensational coats that are completely hand crafted and hand stitched in the USA. The inside is fully insulated for superior comfort and warmth. The exterior is made of genuine wool. 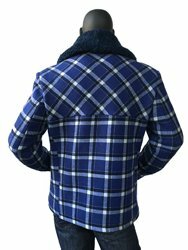 The G-Gator's Custom Collection doesn't use the "painted-on" process to color this coat like other manufacturers; instead, they use a special aniline process to dye the premium grade wool that the selected color permeates the skins thoroughly. The skins maintain its color for a lifetime and becomes more beautiful with age.